Last night’s crab feed got me thinking about the different feeds held in Kellogg when we were youngsters. The first one that popped to mind was the Sunnyside Chili Feed and I’m trying to remember what kind of feed the PTA held in the downstairs lunch room at Silver King. Was it oyster soup/stew? I know we used to have an oyster soup/stew feed at the United Church. Write what you remember about any feeds or a particular feed that occurred in Kellogg. When I was growing up, the church I attended, the United Church of Kellogg, always had an annual Oyster Stew Feed. It was a fund-raiser for the church choir, if I remember correctly. I have little snippets of memory from attending this dinner. I remember coming into the church’s fellowship hall, and it was packed full of people sitting at long tables. 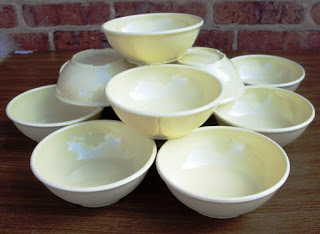 Everyone had a bowl in front of them. You had two choices, oyster stew or chicken noodle soup. Whoever made the chicken noodle soup would make their own, thick noodles from scratch. I remember there were little oyster crackers on the tables to put in your oyster stew. Choir members would be the servers. They would come around and take your order, and there would be a two-tiered wheeled cart full of food they would bring around. I think you also got pie with the dinner. The soup or stew was served in pastel colored Melmac bowls. At some point, the Oyster Stew Feed stopped. We were no longer doing it by the time I was in the church choir in high school. I am not sure why. I am sure someone could tell me. But I am glad I got to partake in that delicious soup and stew each year. It is probably one of the reasons I love oysters to this day.